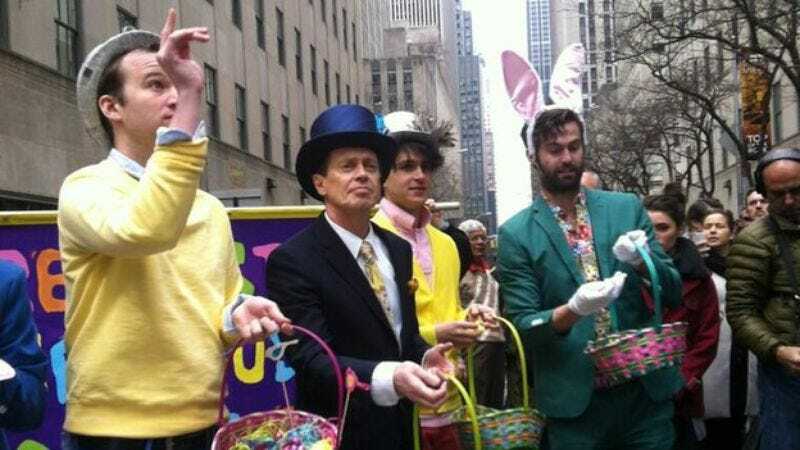 It seems Steve Buscemi and Vampire Weekend haven’t been hanging out together just because they share a love of New York and Easter parades. Buscemi will be directing the livestream of the band’s upcoming Roseland Ballroom show in New York City. In the meantime, he's also been shooting bonus documentary footage that will be released before the show. While Buscemi hasn’t directed any concert streams before, he has directed a number of other projects, including several movies, and episodes of Oz, The Sopranos, 30 Rock, Nurse Jackie, and Homicide: Life On The Street. The Roseland show will go down April 28 and is part of American Express’ Unstaged series that's seen past collaborations between the likes of David Lynch and Duran Duran and Werner Herzog and The Killers. Interested parties can watch it live on YouTube, Vevo, and the American Express Unstaged site. Vampire Weekend’s latest record, Modern Vampires Of The City, is out May 14.